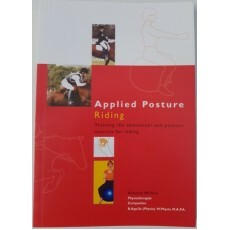 This is the very first edition of my Applied Posture Riding Book. I wrote this book in 2002 and had it published and sold 100s of copies. I have continued to add to this program and develop it. It is now available in up to date formats. However, the original hardcover book is the base to all my work and is still a valuable source of education for riders. I have copied a lot of the information into the membership site because it is so valid and useful. Get a copy and enjoy the education.